Cheim & Read is pleased to announce an exhibition of new work by Adam Fuss. Born in London in 1961, Fuss grew up in rural England. He became interested in the naturalistic surroundings and was soon documenting it through photography. Since 1982, he has lived and worked in New York City and has shown extensively internationally since his first one person exhibition in New York in 1985. It was during this period when Fuss experimented with unconventional photography and eventually abandoned the camera. The work to be shown in this exhibition introduces Fuss' undertaking of the archaic photographic method, the Daguerreotype. It was the first commercial photographic process developed in the early 19th century, using a chemical reaction on the surface of polished silver. Also, to be shown are recent photograms of dresses, smoke, and shadows of flying birds. 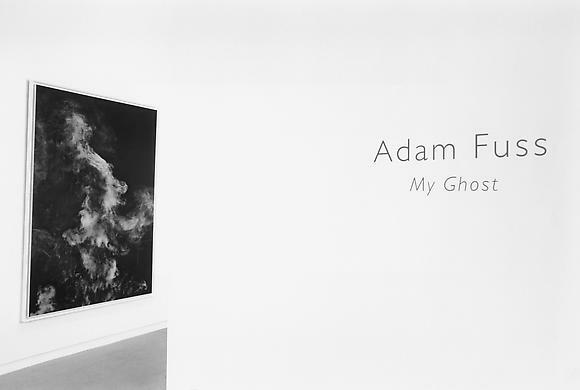 "My Ghost is a series of photographs begun in 1994. They represent a personal expression of loss and an attempt to express in visual terms an emotional presence of a human that is now absent. The Daguerreotype as a medium seems to perfectly fit this intention being both a reflection of the observer and an image fixed at some past time, thus creating a sense of memory and presence." A new monograph of Fuss' recent work will be released this fall by Twin Palms Publishers. A retrospective of his work will be shown at the Fotomuseum in Winterthur in the Fall of 1999.